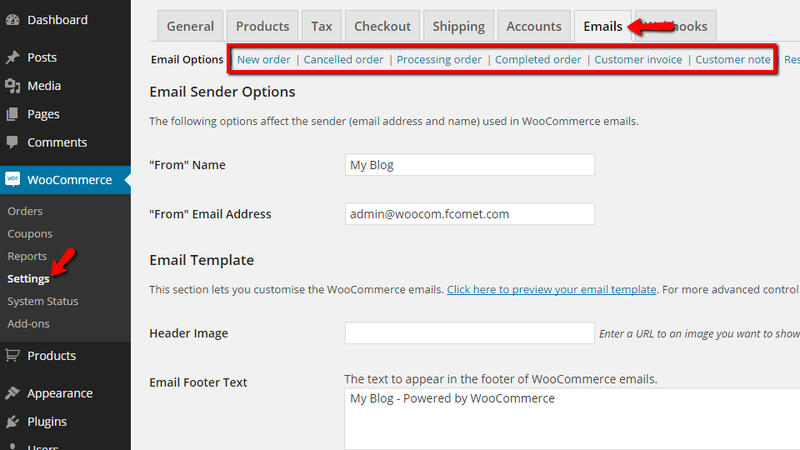 With WooCommerce you have the option to easily edit all the email templates which your Store will be using. In the next few lines of this tutorial we will show you where these templates can be found and also how to edit them based on a single template review. In order to access the page where you will be able to edit the desired template you will need to login into the admin area of your Wordpress application and navigate to WooCommerce>Settings>Emails. You will notice how there are few links just below the main navigation between the different settings groups of WooCommerce. These are the actual templates you can edit and in order for this to happen you will need to simply click on the desired template for editing. Since the email templates are quite a number we will not discuss each template individually but instead we will show you how to edit a single template as all of the options are mostly common for all of the templates. Now that you have edited the template the only thing remaining is to save the changes by simply clicking on the Save Changes button and you are ready to go. Congratulations! 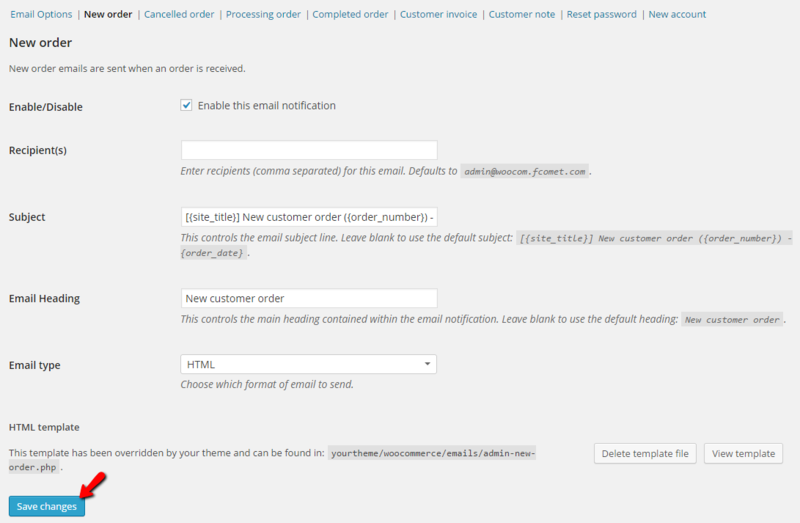 You now know how to edit the Email Templates of your WooCommerce based Online Store!